As a borderline city, Chandigarh serves as the capital of both Punjab and Haryana, and assimilates the culture of both the states. 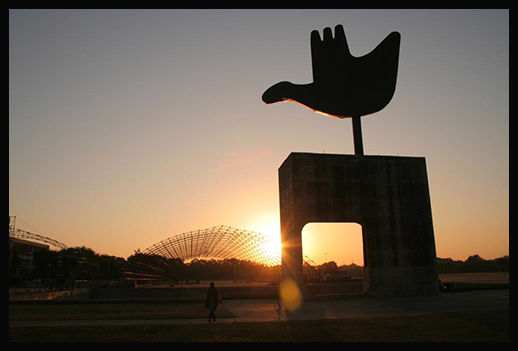 One of the most well-planned cities in the country, Chandigarh has unparalleled architecture. The city itself is quite beautiful and there are many things to see and do around the town. This lake is located at the foothills of the Himalayan mountains, between what are called the Shivalik Hills. This reservoir has become the most visited tourist spot in the city. It has recently acquired a mini cruise ship to take guests around its waters to view the scenery. The Japanese imported vehicle is two storeys tall and of high-quality, so the ride is somewhat luxurious, comfortable and relaxing. 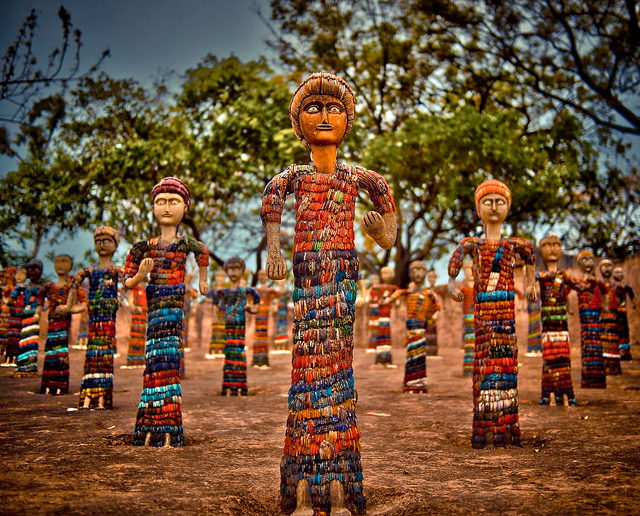 The Rock Garden of Chandigarh, also known as Nek Chand’s Rock Garden, is named after its owner Nek Chand. It is a sculpture garden that was started as a hobby by the government official and now has become a city sight. It has over 2,000 sculptures created from anything, from debris to rubble to junk. Elante Mall is the second largest shopping mall in North India. With an industrial exterior and contemporary interior, this shopping center is representative of modern day India. It covers over 20 acres in area and is around four floors tall. The shopping variety spans anything from high-end brands to the more bargain finds with an occasional eatery here and there. For those in need of a healthy, healing kick, Chandigarh Ayurvedic Centre is the place to be. Ayurvedic treatment is a form of alternative medicine that focuses on holistic healing and balancing the whole body. It is one of the oldest systems in the world and was founded in India itself. This centre will provide you with all the knowledge you need to adopt this science and put it into practice. This local shop was opened in a basement tucked away from main road and foot traffic but has managed to become a well-known city treasure. The store has been around since 1980, selling odds and ends. These knickknacks range from artistic goods that are locally crafted to collector’s items and more – perfect for that last minute souvenir! Chandigarh’s Garden of Fragrance serves as a great escape from the hectic hustle and bustle of city life and the industrial buildings of the downtown. In fact, the metro area of this town was envisaged as a “garden city” and is accordingly scattered with many parks and gardens. Near the Hibiscus Garden, the Garden of Fragrance is found with many varieties of local and exotic flowers and some pleasant walking paths. One of the most famous sights around the city is the Open Hand Monument. This quick drive-by spot was built to commemorate peace and prosperity. It is a symbol of the saying “the hand to give and the hand to take; peace and prosperity, and the unity of mankind”. The architect behind the famous figure is none other than Le Corbusier. Chandigarh is known for its well-planned and detailed infrastructure and architecture. Throughout the city there are many different locations with statues, monuments, and buildings. One of these is the Tower of Shadows, which was also built by Le Corbusier. It manipulates the rays of sun and deals with light in fascinating ways. If you are staying in Chandigarh, peaceful Parwanoo is the perfect weekend getaway. The so-called Timber Trail goes all along Highway 22 and leads to Parwanoo, sat amidst foothills and forests. There, fresh air and scenic views abound and adventure pursuits replace the usual sightseeing. The Mansa Devi Mandir may not be located right within the city but it is a regular pilgrimage spot for those of the Hindu faith. This temple was erected for the goddess Mansa Devi and is a holy shrine for her worshippers. Even if you’re not a follower of Hinduism, the spot beckons with some glorious architecture and cultural heritage.